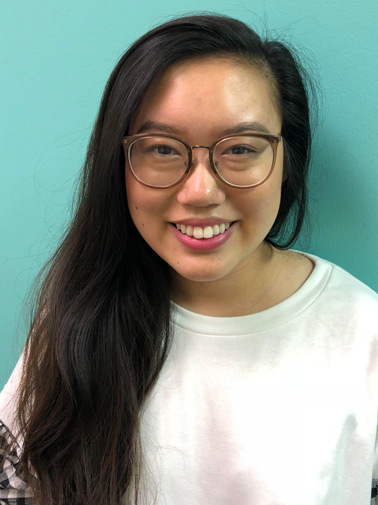 Sarah Dai is a proud Serve Louisiana AmeriCorps member for the 2018-2019 term and serves as the Campus Outreach Coordinator for STAR. As Campus Outreach Coordinator, she works to create protective environments at high schools and colleges in the Greater Baton Rouge area through messaging campaigns and policy change. Sarah was born and raised in Shreveport but moved to Baton Rouge to attend Louisiana State University. In May 2018 Sarah earned her bachelor’s degree in Mass Communication with a minor in Business Administration. While at LSU she discovered her passion for anti-oppression work and community organizing as President of LSU’s chapter of Generation Action, a student advocacy group for reproductive justice. During her senior year, she gained experience in the nonprofit field interning at the Public Affairs Research Council of Louisiana, falling in love with work that improves the community. She is honored to serve at STAR to build capacity in the Community Education Program. She firmly believes education is key to ending sexual violence and creating social change.